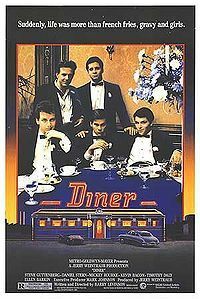 Diner is a 1982 comedy-drama film written and directed by Barry Levinson which along with Avalon, Tin Men, and Liberty Heights constitutes his series of "Baltimore films". Diner is the first film Levinson directed. His screenplay was nominated for an Academy Award. Set in Baltimore in 1959, Diner tells of the story of a group of male, high school friends, now in their twenties, who reunite for the wedding of one of their group. The title refers to the Fells Point Diner, the group's regular late-night hangout. The semi-autobiographical film explores the changing relationships among these friends as they become adults through what is mostly a series of vignettes rather than a traditional narrative. Much of the film is unscripted, Levinson preferring to use ad libbing to capture naturalistic camaraderie on the screen. The film inspired a television pilot that aired on CBS in 1983 written and directed by Levinson. 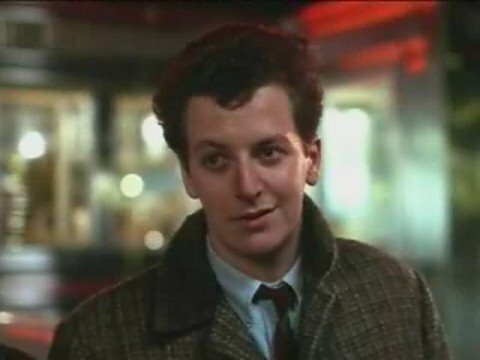 Mike Binder starred as Eddie, Paul Reiser returned as Modell, Michael Madsen took over as Boogie and James Spader was Fenwick.